What Role Does Drink Play in Italian Society? Before you begin working your way to foreign language fluency, it helps to understand the culture behind the language you’re learning. After all, language exists to help a group of people express their ideas and beliefs. Italy is an old country with a rich history and culture. As you begin your Italian language program, gaining a strong grasp on this history, the values, and the etiquette will help you rapidly achieve success. In particular, Italians have a more reserved attitude towards drinking than in other European countries. Italians are not heavy drinkers in general. Most prefer to pair drinks with food and have a typical drink for every phase of the meal. Within each “course” of beverages, there will be a few options to choose from, so be sure to sample different things to determine what you like best. Before meals, it is common to partake in an aperitif (“aperitivo”) in a bar to help stimulate the appetite. You can choose a light white wine such as Verdicchio or a sparkling wine (“spumante”) like Prosecco. These crisp flavors can help clear your palate. Once the meal has begun, choose between red wines (“vino rosso”) and white wines (“vino bianco”). If you’re not sure where to start, most people choose the house red (“vino rosso della casa”) or simply ask for the server’s recommendation. Based on the restaurant’s options, wine can be ordered in quantities larger than just a single glass. Ask your server for a portion as large as a liter (“litro”), carafe (“caraffa”, typically three-quarters of a liter), half-liter (“mezzo litro”), or quarter-liter (“quartino”). Once your meal has ended, you may be offered a digestif (“digestivo”) to aid with digestion, which can come in the form of fortified wines such as sherry or vermouth, distilled liquors like tequila or whisky, or brandy like cognac or grappa. If you’re in a hurry, you can save money by choosing to drink at the bar instead of at a table. At the bar, you are free to drink as much or as little as you want and will not be expected to stay for a long period of time. Florentine Monsignor Della Casa, in his 1558 etiquette manual, Galateo, said, “…I thank God that for all the many other plagues that have come to us from beyond the Alps, this most pernicious custom of making game of drunkenness, and even admiring it, has not yet reached as far as this.” Admiring his country’s avoidance of the fascination with drunkenness, Monsignor Della Casa’s statement still rings true today. In modern day Italy, alcohol is typically reserved for drinking during meals to accompany the food, not to achieve drunkenness. This concept of inebriation is actually quite foreign to many Italians. 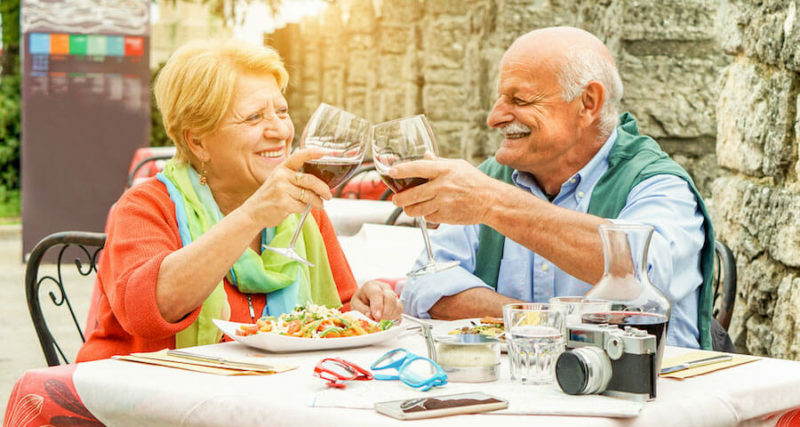 Although Italy boasts one of the highest alcohol consumption rates in all of Europe, it is not because of rampant alcoholism or drunkenness; it is simply because it is commonplace to pair alcohol with multiple meals. Most people have no more than a couple glasses of wine per day. While Italy may be known for its wine, beer-drinkers should not be discouraged. Some popular brands of beer (“birra”) include Frost, Moretti, and Peroni, which are often served on draught (“alla spina”). Beer is commonly ordered in three sizes: 66 cl (“grande”), 40 cl (“media”), and 20 cl (“piccola”). If non-alcoholic beverages are more your taste, Italy offers some unique and delicious options. Enjoy a cool “granita,” a summery iced beverage commonly flavored with coffee, mint, lemon, strawberry, or orange. For a more luxurious treat, ask for an “affogato,” a scoop of vanilla gelato drowned in a shot of hot espresso. “Caffè macchiato” is espresso with a dash of milk. “Caffellatte” is a large glass of hot milk with coffee mixed in. “Cappuccino” is espresso topped with a thick layer of milk froth. Italians never drink cappuccino after lunch. “Caffè lungo” is a long, weakened black coffee. More water passes through the grounds while brewing, producing a weaker taste than espresso. “Caffè decaffeinato” is decaf coffee. This is not very popular among Italians. “Caffè coretto” is espresso with a drop of grappa or other liqueur. If you order tea, you will be served a cup of hot water and a generic tea bag—Italians typically don’t drink tea. Also note that by law, Italian bars and cafes must serve tap water to all guests free of charge, regardless of whether they purchase anything.